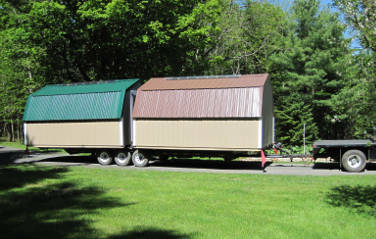 "Why rent storage space, when you can flex lease-to-own one of Ed’s Sheds"
Specials – While They Last! Why rent storage space, when you can lease-to-own one of Ed’s Sheds. To introduce you to Ed’s Sheds – It was established and is owned/operated by Ed Lukacik. We have a business history of serving Maine folks for more than 30 years throughout the area of Augusta and North to Canada. 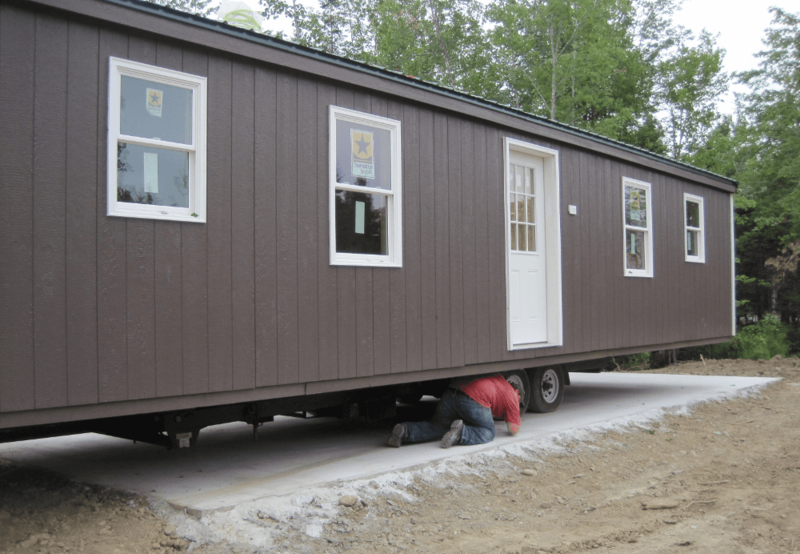 We are diversified in that we build a complete line of storage buildings, cabins, mini-homes, horse barns, garages and more to come! As a family owned business, every aspect of our business is done with pride. Quality is our number one priority! Ed keeps a hand in the manufacture of each shed produced. Our goal is to build the highest quality structure available you can buy for anywhere near our prices; both in workmanship and materials. SIMPLY THE BEST!! Every shed we produce is built hands on—no assembly line here! All first-quality components are used; such as grade 1 pressure treated skid, finished floors, a 50 year warranty on siding, a lifetime warranty on PVC trim, a 40 year warranty on the steel roofing – just the best materials throughout! We build the sheds to last. Our carpenters are of the old school type; every one of them takes pride in what they do. Every shed is personally inspected by Ed or his wife, Joan. We take pride in providing you the storage/cabin/mini-home space you need, at an affordable price, with the highest quality. One of our cabins arriving "home". Another shed at it's new home. © 2019 Ed's Sheds. All Rights Reserved. We really believe you'll love the products you buy from us. We believe in our products so much that we have a no-nonsense guarantee. If something is wrong, we'll make it right! 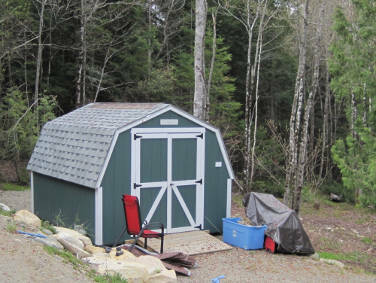 Give us a call today for the best, custom built sheds in Maine.